Plays on table. 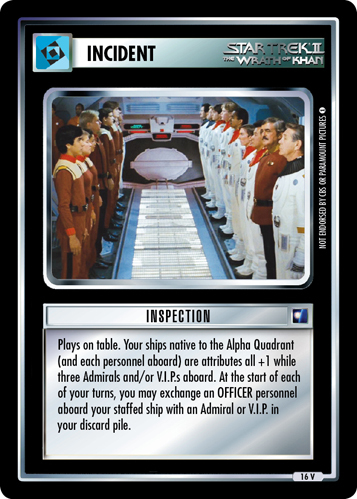 Your ships native to the Alpha Quadrant (and each personnel aboard) are attributes all +1 while three Admirals and/or V.I.P.s aboard. 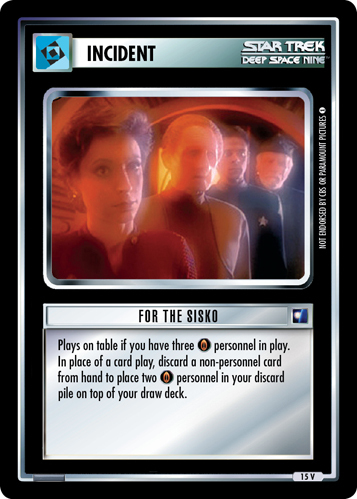 At the start of each of your turns, you may exchange an OFFICER personnel aboard your staffed ship with an Admiral or V.I.P. 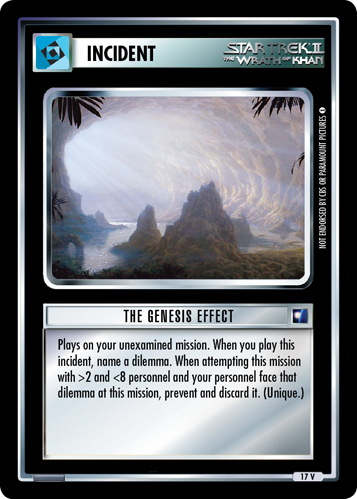 in your discard pile.